Home › Uncategorized › Going Great! 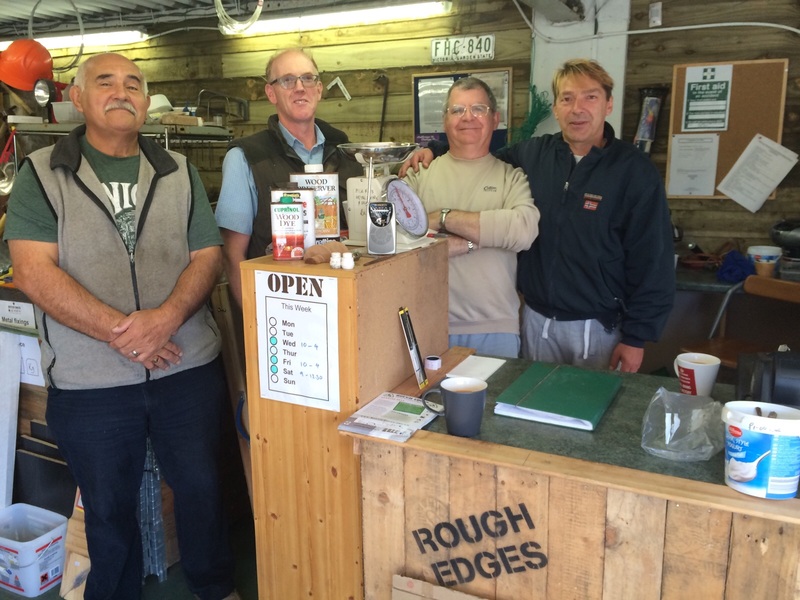 Things continue to go very well at Rough Edges. We estimate someone in the region of one hundred people each week call in during the two and a half days we are open, many of whom have become regular callers! Volunteer numbers are also increasing and we therefore hope to be opening an additional day soon. At the end of this year we shall be able to put a substantial amount of money into the ongoing work at Zac’s Place, which is part of the reason for this venture. The recent acquisition of a van, (and a waste carriers licence), means that we are able to do selected shed clearances to keep stock coming in, so please do get in touch by phone or email. We have also doubled the area we use, now having one unit for sales and the other for workshop, store and sorting. Plans are also being made for some heating! Keep an eye on our Facebook and Twitter feeds for other news updates. In the meantime, here’s a snap of our Weds volunteer crew taken this week.